When Richard and I first thought of starting a blog about the things we love, I looked into some the shared interests we have and the things that sparked our imaginations. One of the things that influences us to this day is the Japanese anime masterpiece “Cowboy Bebop”, directed by the genius Shinichiro Watanabe. As you’ll notice from our cover photo, we are huge fans of the series for many reasons, (we will explore these in detail soon, so stay tuned!) and one of these is the shows stunning soundtrack. Throughout the series, there are a number of influences that standout within the episodes. Film Noir, Westerns and Cop shows are all referenced, and the soundtrack does the same. Performed by Anglo-Japanese Blues/Jazz performers ‘The Seatbelts’ led by composer Yoko Kanno, the music is as much character in the series as anything else. As expected, the soundtrack draws upon all these influences, but what’s not expected is the way these influences are expertly blended together to create a musical feast to satisfy even the hungriest listener. I struggled to pick out a single track from the soundtrack album, but at a osuh I poted for ‘The Egg & I’. 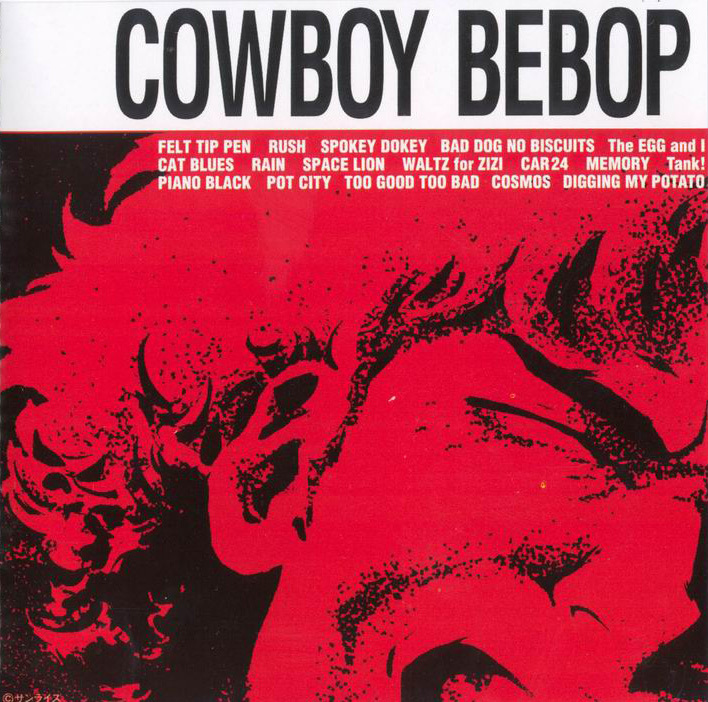 I chose this track because it of it’s power to sweep you away into the world of ‘Cowboy Bebop’. throughout the track, you can’t help but conjure up images of Ed & Ein marching off from the Bebop to get involved in some type of shenanigans! It’s beauty is personified by it’s simplicity; only four instruments are feature throughout, and yet the complexity with which the rhythms are created are amazing to behold. It’s funky, ‘honky-tonk’/blues style guitar riffs are a joy to behold, and surely only Yoko Kanno could think of adding bag-pipes into the mix and pull it off with such aplomb. The listening experience is both fascinating and uplifting. But don’t just take my word for it, check it out for yourselves and enjoy your Sunday!